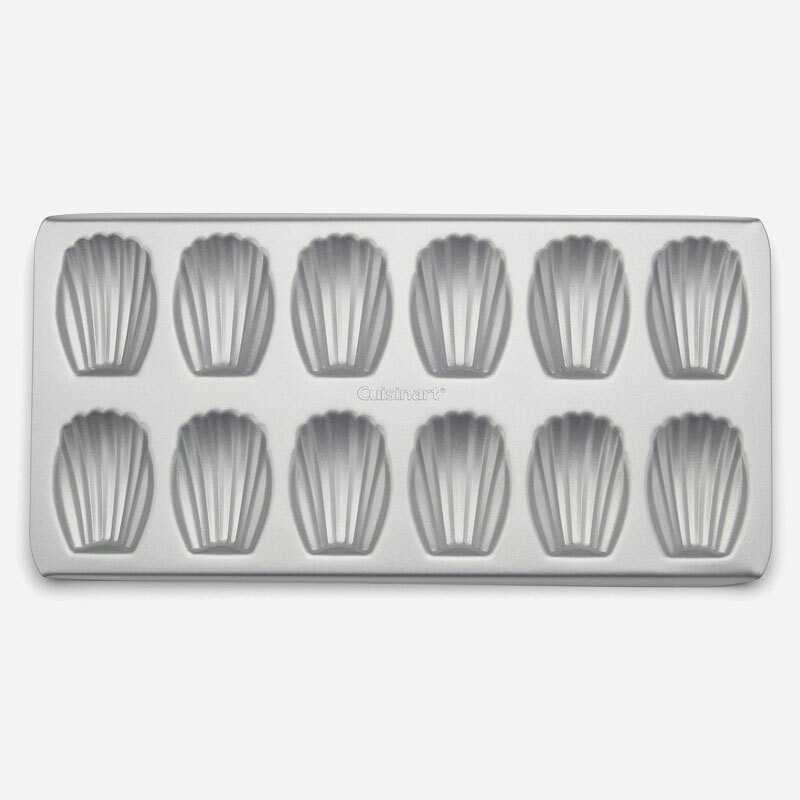 Professional-branded premium nonstick interior and exterior, ensure easy food release and effortless cleanup. 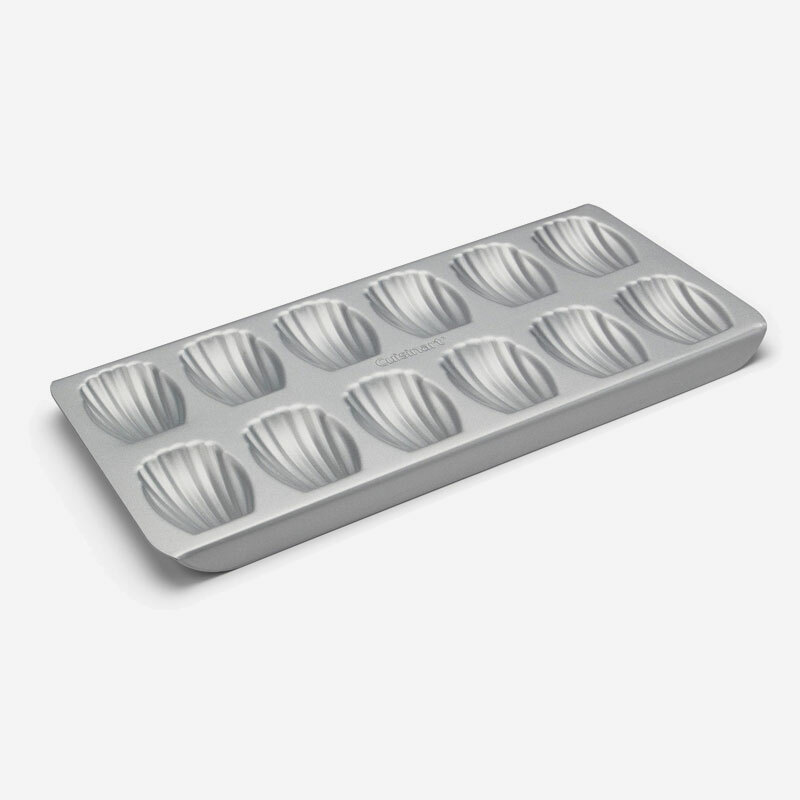 Constructed with heavy-gauge steel to provide even heat distribution and consistent baking results. 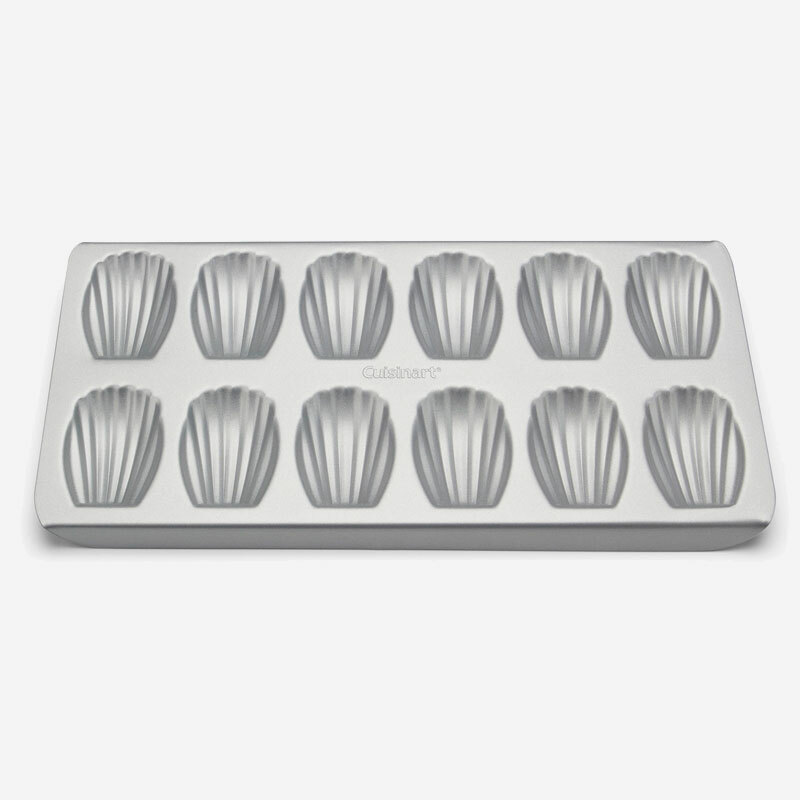 Bake the perfect Madeleine with the Cuisinart 12-Cup Madeleine Pan. 9.00" x 17.88" x 2.75"